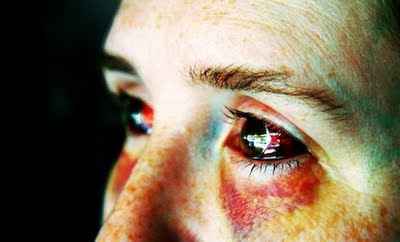 LIVING IN FEAR: WHAT IS DOMESTIC VIOLENCE? IT'S SO MUCH MORE THAN THIS IMAGE OF A LADY WITH BLACK EYES...THAT'S THE SURFACE ! All forms of domestic violence - psychological, financial, emotional and physical - come from the abuser's desire for power and control over an intimate partner or other family members. Domestic violence is repetitive and life-threatening, and gets worse over time and can ruin women and children's lives.Any woman can experience domestic violence regardless of race, ethnic or religious group, class, disability or lifestyle. Domestic violence can also take place in lesbian, gay, bisexual and transgender relationships. Domestic violence can also be perpetrated by other family members (for example, extended family). In some cases, older children - teenagers or young adults - are violent or abusive towards their mothers or other family members. ** Destructive criticism and verbal abuse: shouting; mocking; accusing; name calling; verbally threatening.